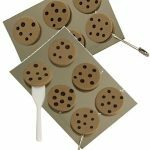 Itty bitty cookies with an itty bitty spatula for girls to make and trade. 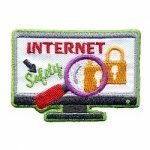 Your girls can show they learned and practice internet safety with this patch. Especially appropriate before fall product and cookie sales. No scissors, glue or paint needed. 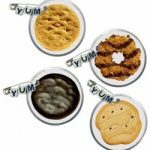 Great to make on a recruitment, cookie rally or other event where a lot of easy crafts for swapping are needed at an economical price. This is the yummiest craft you can make to swap! 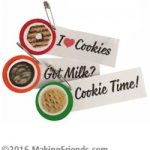 Cookie time or any time is the right time to make and trade GS cookie pins. 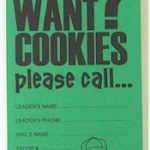 From meeting behavior to cookie sales, reward your girls with “Scout Bucks” that they can cash in for trinkets and goodies at the end of the year. 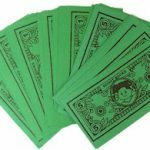 Help your girls learn age appropriate money smarts. A trip to the bank or meeting with a financial advisor is a great way to help your girls get educated about personal finances. 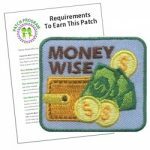 MakingFriends®.com has created a patch program for our Money Wise patch with age appropriate ideas for each level.